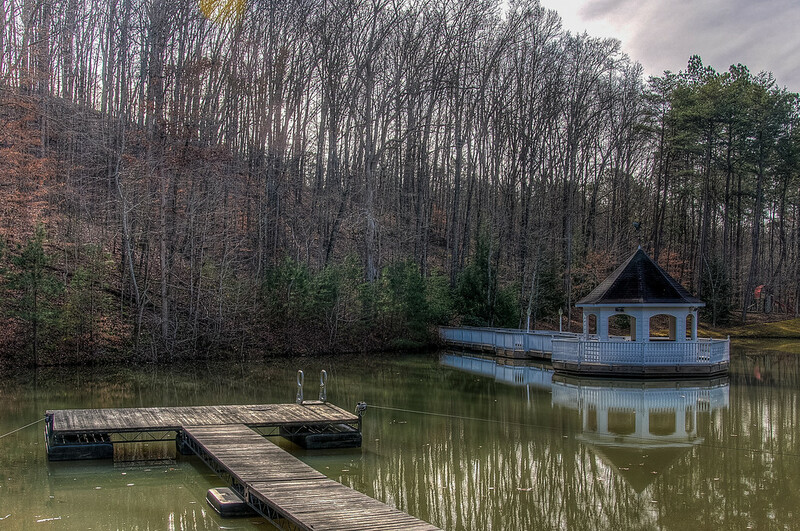 The Dock and Gazebo | Just Shooting Memories! Last week it rained something fierce. In the end, we had around 5 inches of rain in about 24 hours. I was watching the lake and something just did not looks right. I went to investigate and thought that it was high enough that I believed it should be draining, but was not. I turned off the aerator and shortly after, the lake started draining. I forgot to turn it on and the calm following the storm made the lake almost perfectly still.